Italian Ice -Sign up here for Info (Little Jimmy’s Italian Ice) is being sold at the Newark Bear’s Baseball Stadium in New Jersey before the game starts. The Italian ice push cart has a line of customers with an almost empty stadium before the 1st Inning. 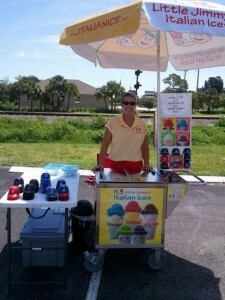 The baseball helmet is a natural to sell Italian ice in at a baseball stadium. 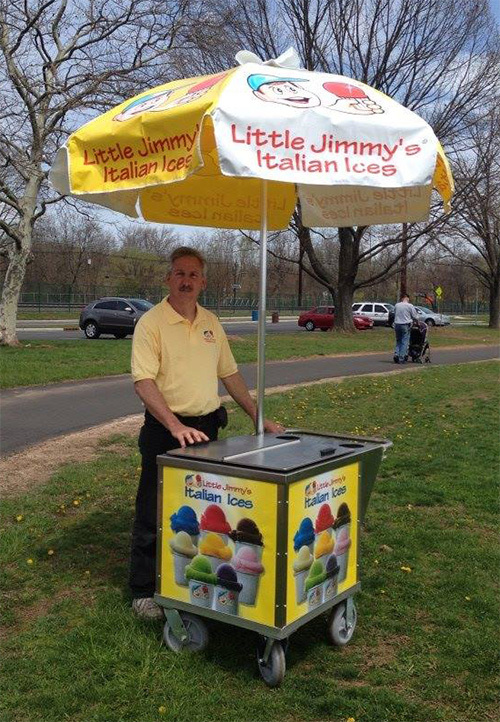 This is a great franchise alternative, own your own ice cart and start selling Little Jimmy’s Italian Ice. 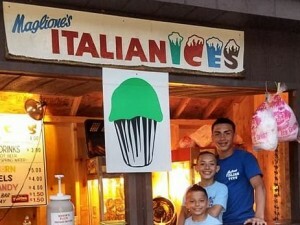 If you are looking for wholesale Italian ice, you have come to the right place. Welcome to the Little Jimmy’s Italian Ice website. 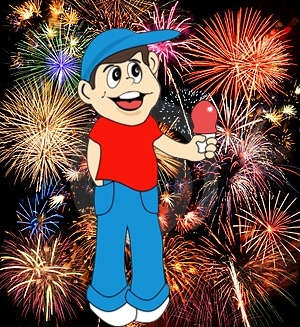 Little Jimmy’s Italian Ice is proudly owned by Maglione’s Italian Ice based in Iselin, New Jersey since January 17, 2014. 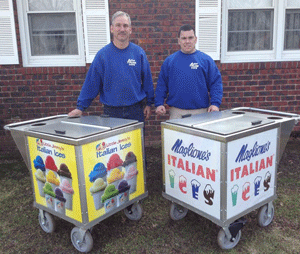 Maglione’s Italian Ice was founded by Ralph Maglione Sr. and his wife, Flo, back in 1957. They raised the entire family to be a part of their business from their Iselin home. And now, another generation is continuing the tradition. The grandkids are celebrating their Italian heritage and learning how to make the delicious, old school, frozen treats! Our business started small but has now expanded to include concession holders who sell our delicious desserts and earn themselves income in a fun way, across 45 states here in the USA. And a Little Jimmy’s Italian Ice business really is a pleasurable way to make money. While you’re here please do read the testimonials from our ice vendors to hear about their opinions; we think you’ll see what we mean. 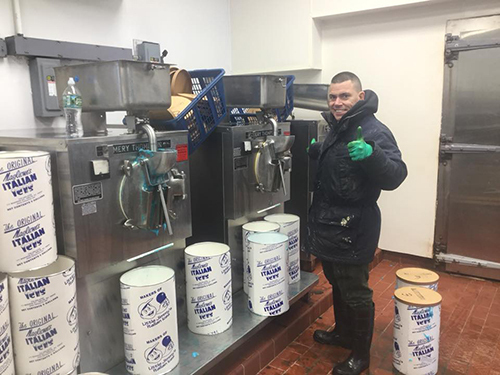 Our Little Jimmy’s Italian Ice headquarters are based in Iselin, New Jersey, but as we mentioned, ‘Jimmy’s’ is a nationwide concern, so wherever you are in the US you can still take advantage of the many benefits of owning and running your own Italian Ice concession. 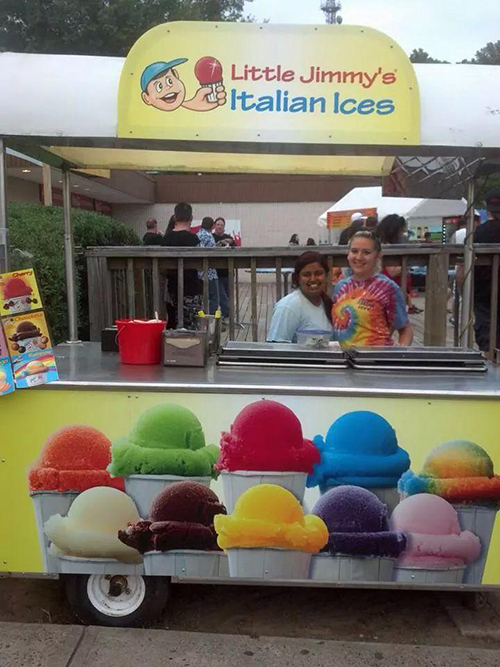 Italian ice wholesale prices are the same for each and every state. 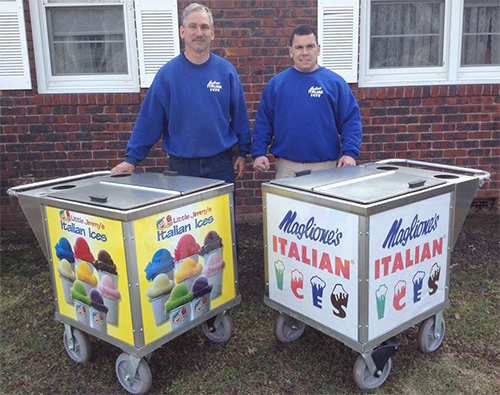 The recipe for Little Jimmy’s Italian Ice really is a closely guarded secret, so much so that only two of us Moore brothers know it! So when you sell our famous confections you really are giving your customers something very special that they couldn’t buy elsewhere. And as you’ll see in our recipe section of this site, it represents a healthy option, being fat and cholesterol free. While our business has expanded, some things remain unchanged. Our ices are still made without the use of any modern machinery. So when you enjoy our refreshing ices or make a Little Jimmy’s Italian Ice concession your means of generating a supplementary income you really are involving yourself in something enduring that is steeped in tradition. Our Italian Ice of Superior quality and taste is sold 3 and 5 Gallon containers and we currently offer up to 20 different flavors. Come visit! 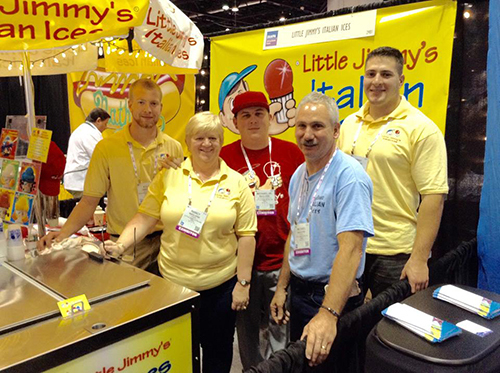 Little Jimmy’s Italian Ice is open to the public for wholesale Italian ice.